Zambrano’s Transportation Group currently services airports, residences, offices, hotels, events, and a night out in the Fort Lauderdale area. 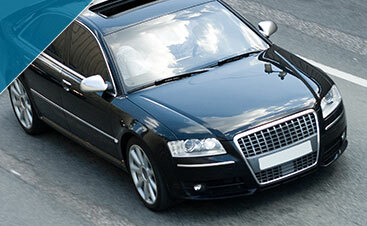 Our fleet consists of sedans, SUV’s, vans, sprinters, stretch limousines, mini-buses and motorcoaches. No, as Fort Lauderdale premier ground transportation provider, we are open every day. We suggest reservations be made 24 hours in advance. For last minute reservations, please call us at (954) 900-8929 and we will do our best to accommodate you. What are your office and service hours? Our office is open 24/7/365 and can pick you up any time of the day. Can you send me email confirmation? Email confirmation(s) will be sent upon scheduling reservation(s). How can I schedule a pick up? We have several methods to schedule a reservation: please call us at (954) 900-8929, book online at www.ztgtransportation.com or e-mail your trip information to info@ztgtransportation.com. If you cancel within 72-hours of event date 50% of sale will be charged as a cancellation fee. If you cancel on the date of event full amount is due and payable. We accept MasterCard, Visa, American Express, and Discover. We also accept cash upon arrival with a secured credit card on file. All reservations are subject to guaranteed payment. The credit card number taken at the time of your order is used for this purpose. Charges for your reservation will be billed to this credit card if you do not cancel your service in advance (see our cancellation policy). No, we only accept credit cards and cash. Contact our accounting department at (954) 900-8929 and they will e-mail you a duplicate receipt for your records. Your rate quote is based on the information provided at the time your reservation was made. Additional charges can result from changes to your service during your trip: such as extra stops, waiting time, or extending the duration of your charter. If you do not feel that you had any additional services, please call our accounting department at (954) 900-8929 to review your charges. Yes, please contact our sales department at (954) 900-8929 for details. I am running later than my prearranged time? Overtime pay will apply after the first 15 minutes of prearranged time as described and agreed to in your reservation. Airport arrivals have a grace period of 45 minutes; thereafter, will be charged at $5.00 per every five (5) minutes or part thereof for a sedan. A waiting fee will be assessed ranging from $30-$200 per hour thereafter depending on which vehicle you have reserved if not a sedan. Waiting fee and over time will be billed in 30 minutes increments at the standard hourly rate of the vehicle requested. Why do you suggest early pick up times for departures? Since the 9/11 tragedy, airport security status can increase without notice. To ensure you make your flight, we follow the Department of Aviation guidelines for airport arrival times. We also account for delays due to weather and/or heavy traffic. We monitor all arrivng flights. As the estimated arrival time for your flight approaches, we update your reservation with any changes in arrival time. You do not need to call us if your flight is delayed. However, you do need to call us if your flight information changes (e.g., if you are bumped to a different flight or you miss your flight). Will your driver help me with my luggage? Yes, our chauffeurs are always happy to assist you with loading and unloading your luggage and other items. Will you meet passengers in the airport? Yes, we offer several services from baggage meet-and-greet to on-side coordinators for large groups at an additional cost, otherwise the chauffeur will meet you curbside. My plane has been delayed and it is coming after midnight. Will you still be able to pick me up? Is there any additional fee for an after hour pick-up. There will be $15 charge for pick-ups between 11:00pm-04:30am. I need to make stops along my destination? How much do you charge for stop? Extra stops are a minimum charge of $15.00 depending on mileage and the type of vehicle, this includes restroom stops. We also charge for unexpected waiting time.